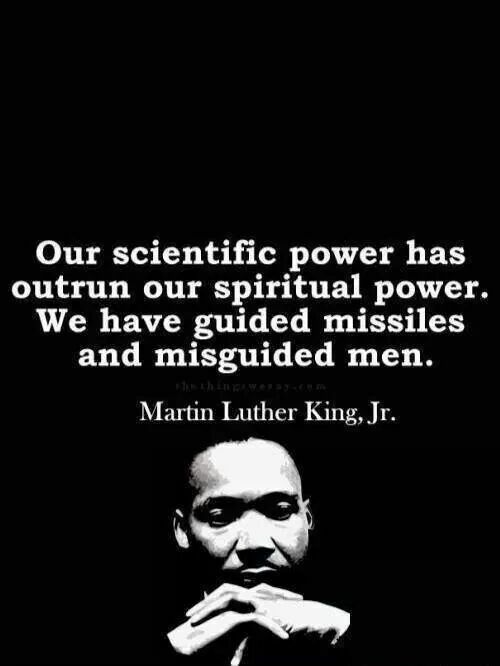 One aspect of Dr. King’s writing that is often overlooked was his concern for the pace of scientific and technological advances. It takes caring and compassionate people, and I think most scientists are just that, to guide the world in humane ways. This does not mean living outside our relationships with the world, but to live in them, encountering them in vulnerable and unexpected ways. I heard this quote long ago but had forgotten. I can only imagine what King would think today. I agree we can only imagine. Ouch! I think King saw far into the future. Hannah Arendt commented in the late 1950’s we might have the language to describe technology it was increasing at such a fast pace.